I finally have a second to come here and post a bit. This challenge is really taking a lot out of me! I may be a bit behind, but I'm hanging in! For those who don't know me, I am French Canadian. I tend to read English books most of the time, mainly because they're cheaper to buy. 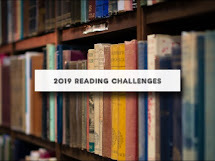 With this challenge, I try to read French books. A book about school, by a reknowned French author. My son studied that author last year, but it was for a children book. 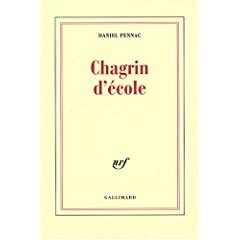 Pennac writes for both adults and children. This one here is definitely for adults. Daniel Pennac was a 'bad student', a 'cancre' as we say. Bad marks in school, "mom please take me out of school!' yet he ended up being a 'professeur de français'. This book is about how to reach the kids who are failing, how to give them a love of litterature, a love of reading. He has a chapter on dictation that is simply delicious. In fact, I will give the best part as dictation to my two kids! I don't currently have the book next to me, or I would share what Pennac has to say about dictation. There's so much love in it! I read this book as a teenager, and decided to re-read it. Because my kids are marine mammal-crazy, there's always talk about dolphins and orcas in our home. This book suddenly popped in my memory as a book my son might enjoy. Written from a French point of view, the US goverment and secret service do not get a nice treatment. 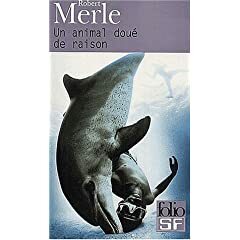 But the dolphins do, and that was my primary reason to revisit this book. I handed it to my son afterwards, and he enjoyed it. He cried in the last few chapters, and managed to understand the politics pretty well for a young one who is just getting interested in politics. Yes, another book by Pennac. This one is about loving books, not about school although there's a lot of cross-over between his two books. (He did write more than two books). This essay is also about why teens no longer read. He doesn't blame TV, commercialism, movies, or any of the standard culprits. He does blame the way 'EDUCATION' handles books, how kids are forced into regurgitating whatever it is that their teacher wants them to say, instead of just enjoying the book. In short, he stating that writing about a book (like I'm doing now!) is a sure method of getting kids turned off from reading. He also promotes read-alouds, even for older kids, teens about to leave high school, and young adults in university. Since we're a Sonlight family, that resonated closely with me! Pennac sounds very interesting! Once as a young adult I was reading The Great Gatsby, and my sister saw me and said, "Ugh, how can you stand to read that after the way they made us read it in high school?" My English teacher literally pointed out every time the color yellow was mentioned! I told my sister, "I just wanted to read it once as a story and enjoy the story!" Sounds like what Pennac is talking about. It also always seemed like everything we read was extremely depressing. We were all made to read a paragraph each in class, that is about all we seemed to do in our English class. I guess it was because we couldn't be trusted to read it independently. It was a sure way to ruin certain books for me -most of the class read laboriously and monotonously. I cannot imagine reading 'The Go-Between' or 'Lord of the Flies' for pleasure.